BSM Media teamed up with Crayola to create a buzz online for Crayola’s Play Sand, available at Walmart. By activating the Social Spotters network to find and locate the Crayola Play Sand and share photos of it online, we were able to increase brand awareness and generate consideration for Crayola Play Sand among mom consumers. 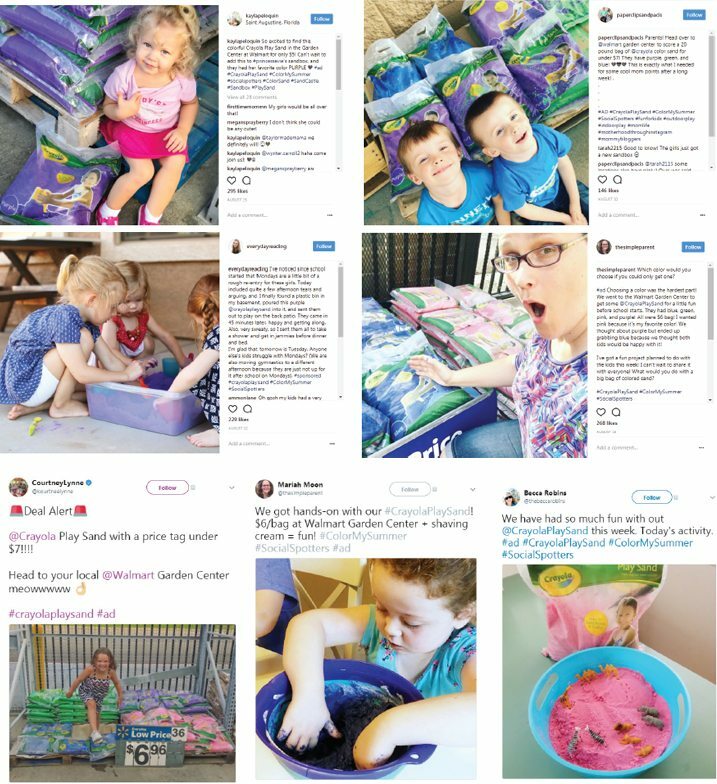 BSM Media exceeded the benchmarks for social shares and impressions for this campaign, and all influencers reported their intent to purchase Crayola Play Sand again in the future. Based on the measurements and the positive feedback from our influencer network, this campaign was a success!